Category: Bright Starts. Tags: 6 bulan+, Baby_Walker, Max 11kg. Fun Comes First! Let baby cruise with the pack in the wild Pack of Pals Walker from Bright Starts! 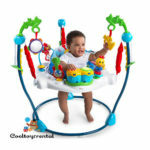 When baby is beginning to sit up, he or she can hang out in the comfy seat and play with the spinning and rattling toys. 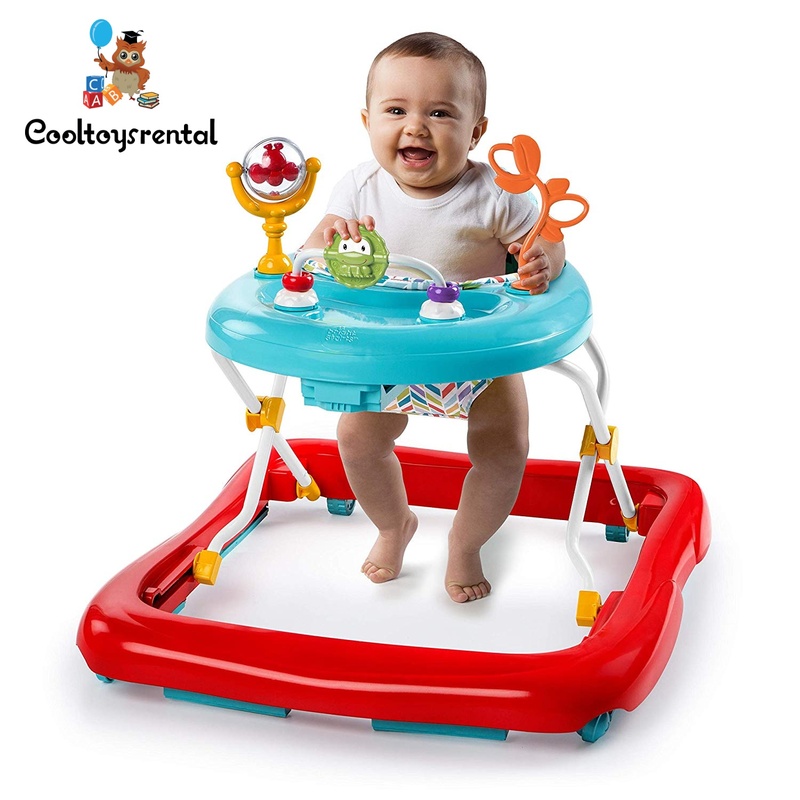 As baby grows, it becomes a safe way for baby to move and explore. When ready to play, the Pack of Pals lend a hand with plenty of fun activities. 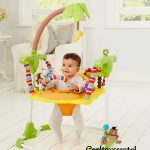 Keep baby happily entertained with spinning the bee rollerball filled with colorful rattle beads, sliding the beads of the bead chaser, or soothe sore gums with the leaf teether. A high seat back provides comfort and support. 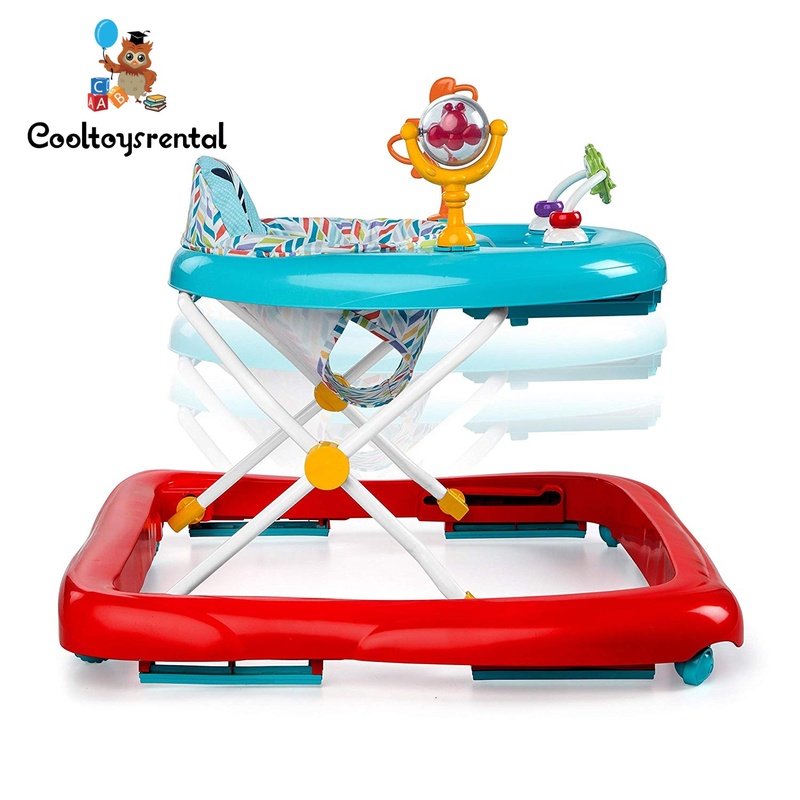 The design of this baby walker allows for easy fold, storage and portability. Easy to keep clean by wiping it down where needed and tossing the seat cushion into the washing machine. 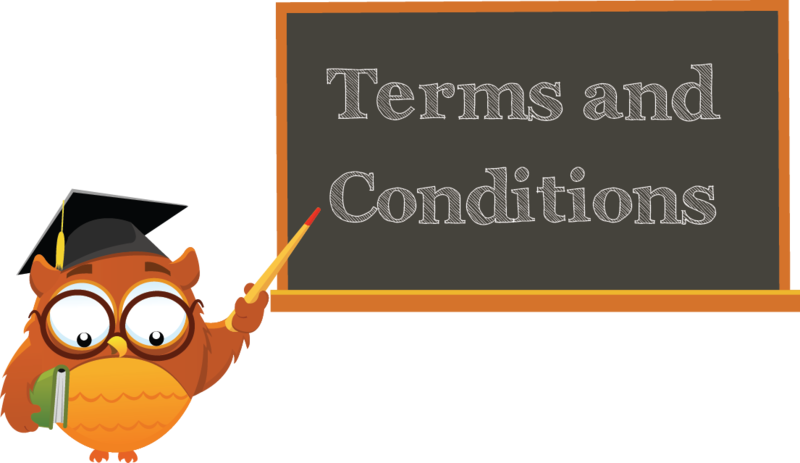 It is safety enhanced with rubber feet that “brake” and a sturdy frame. Make the fun last even longer by adjusting the walker frame to three different height positions to keep little toes at the perfect height. 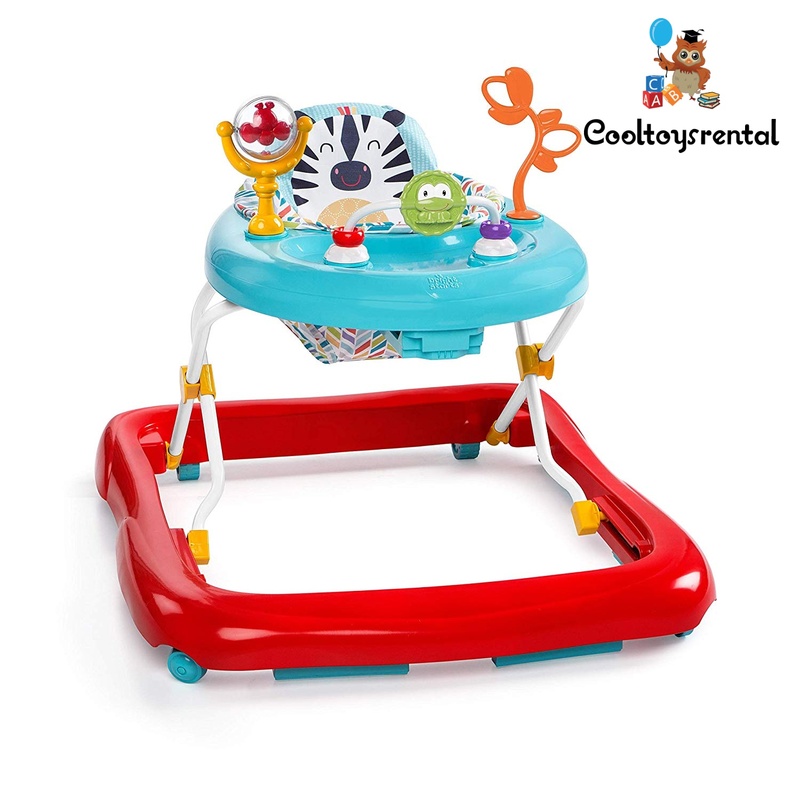 Adjust the frame to three different height positions to keep little toes at the perfect height. Frog paddle spinner with bead chaser, bee spinner ball and leaf teether stalk for baby’s entertainment. Safety enhanced with rubber feet that “brake” when baby gets too close to uneven surfaces . A high seat back provides comfort and support for baby. Folds easily for storage and portability. Wipe clean or toss the seat cushion into the washing machine. 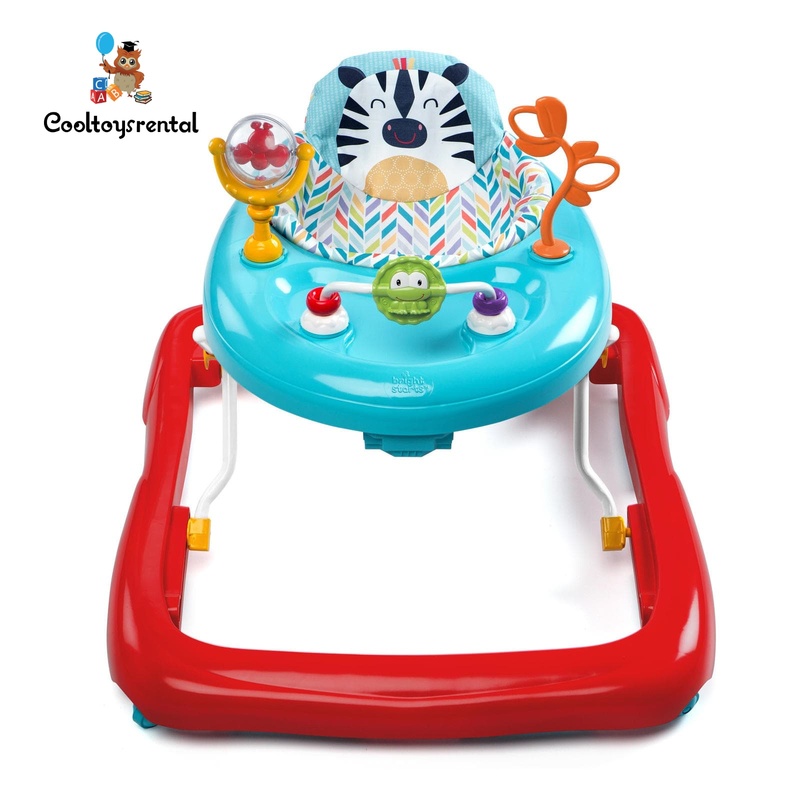 2 link loops for adding more of baby’s favorite toys.